The LIFEGroup Survey will be available December 4. Your group members can complete it on-line or we can provide paper copies. Our goal is to have every member of every LIFEGroup complete this survey! Thank you in advance for your participation! Every Sunday this January, we will be holding two open forums for LIFEGroup drivers. These will provide you with the opportunity to ask questions, make suggestions, share ideas, and hear David talk about the future of LIFEGroups at Calvary. We anticipate these meetings being a fruitful time of sharing and building into one another. Week One: David will talk about where we’ve been, what we’ve accomplished and will discuss what it means to be “formative, caring, and missional.” You will be given the opportunity to share stories of success from your own group experience. 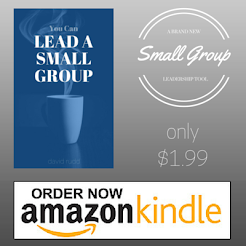 Together, we’ll begin talking about expectations for LIFEGroup drivers and LIFEGroup members. Week Two: We’ll have an extended Q&A time, allowing everyone opportunity to ask whatever questions may be pertinent to their situation. We’ll also continue our discussion of expectations. These eleven questions can help you get to know the basics about someone in a relatively short time. Often the answers given can lead to deeper conversation, which will create a stronger relational tie. Did you go away to college? Where? Did you pursue graduate studies? Do you have pets? What kind? What are their names? Where have you lived before you lived here? Click on the picture below to view this week's newsletter. Coming this January: LIFEGroup Open Forums. You won't want to miss this neat opportunity!